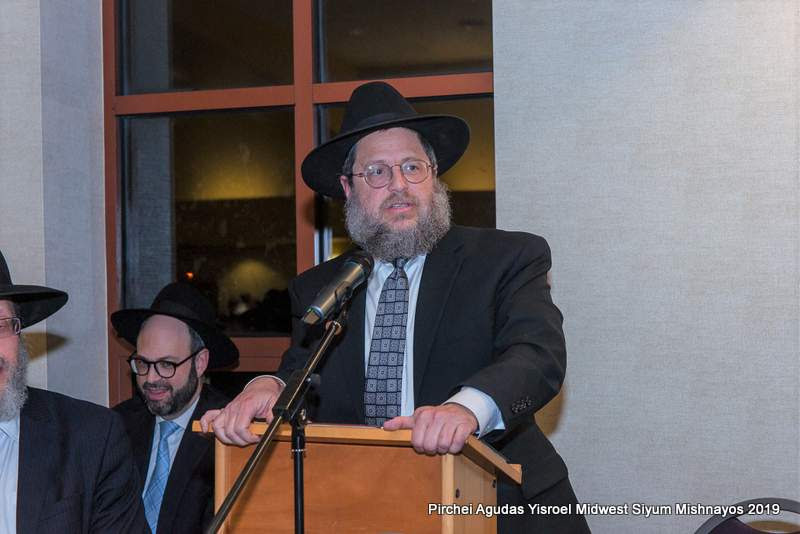 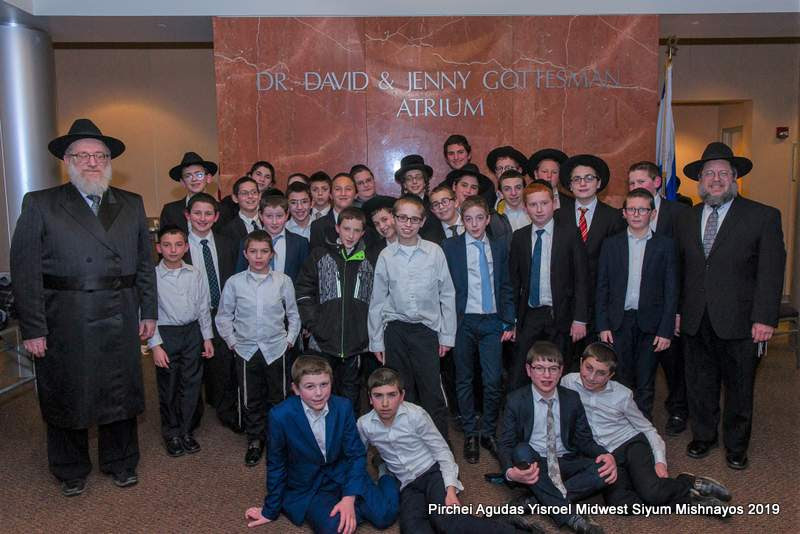 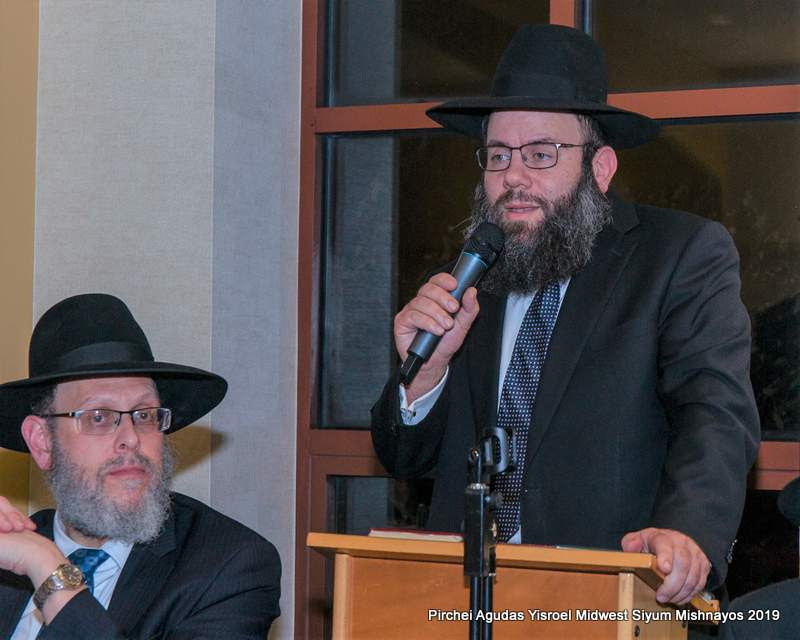 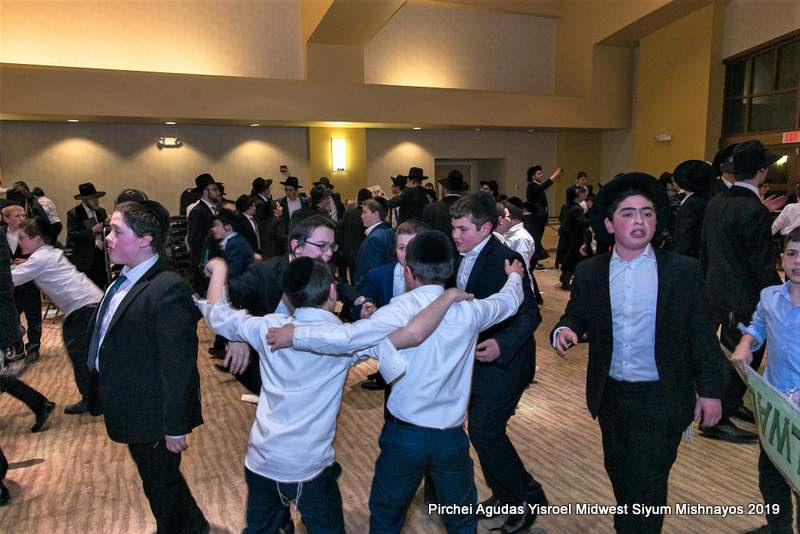 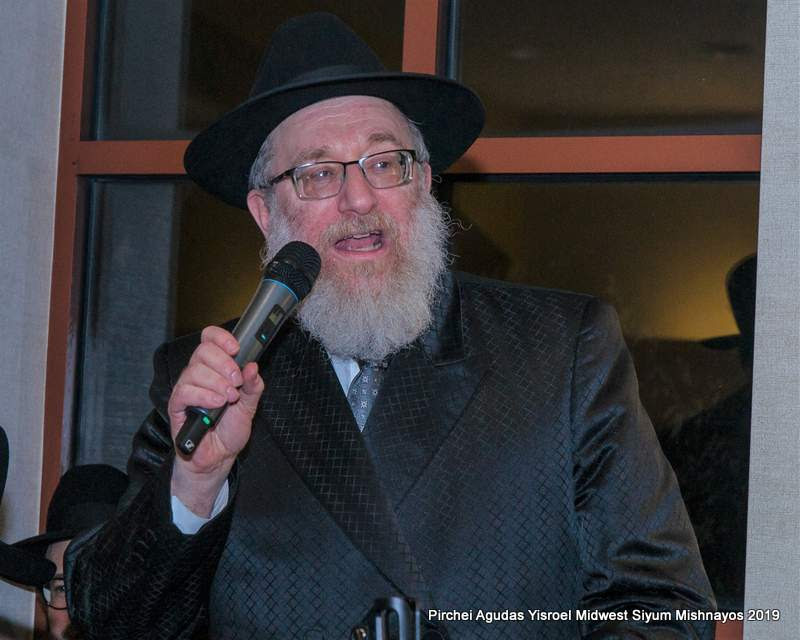 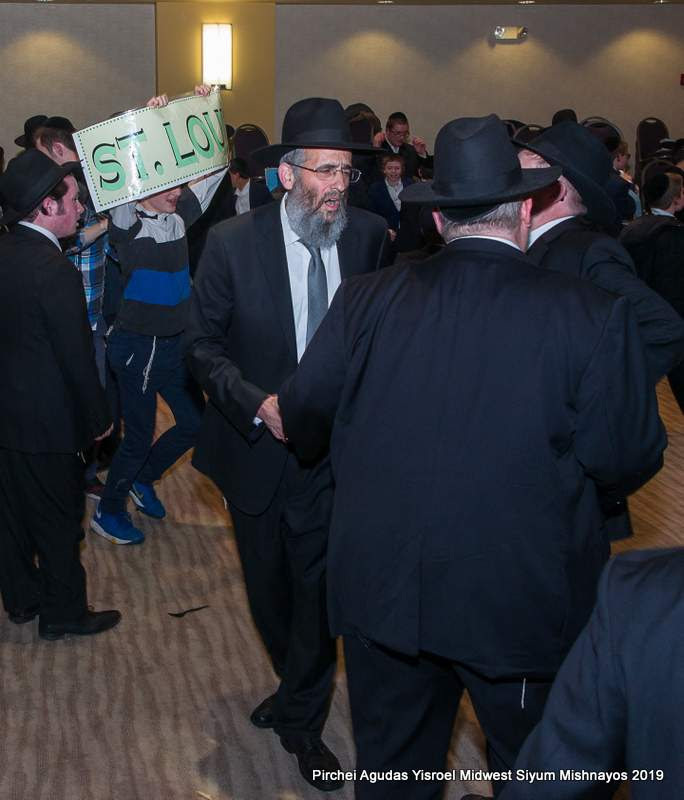 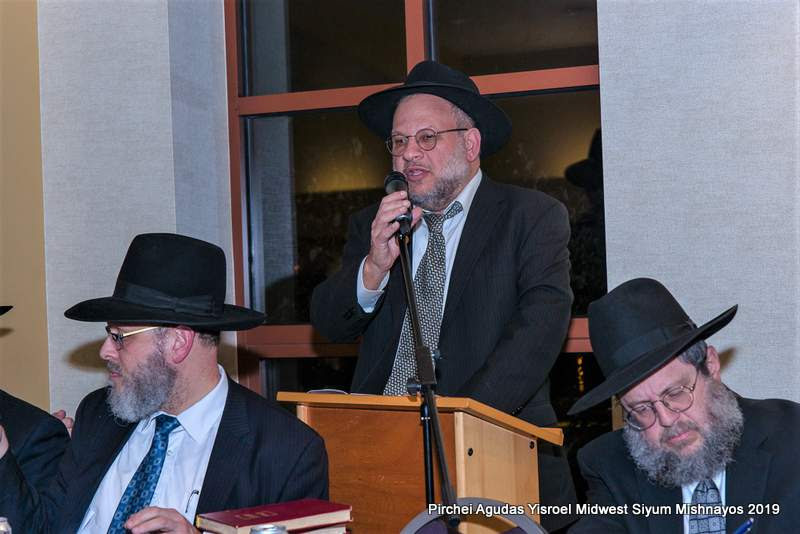 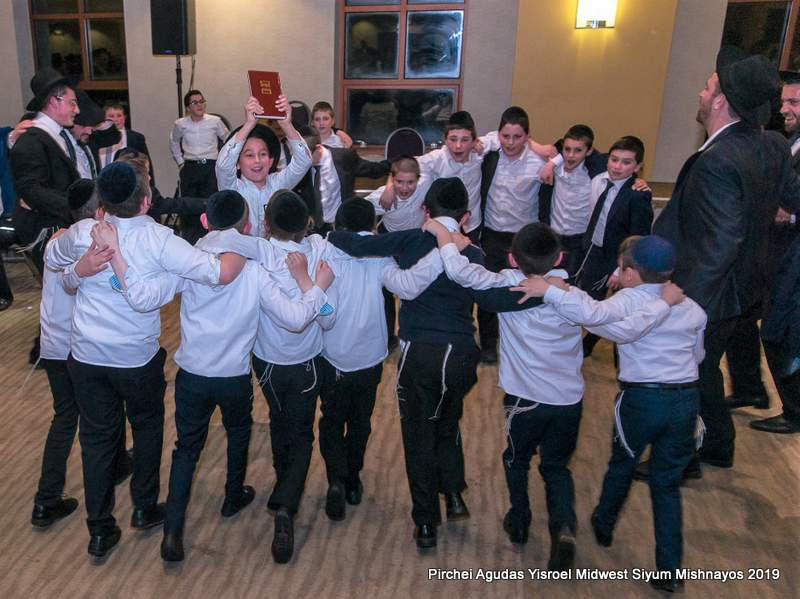 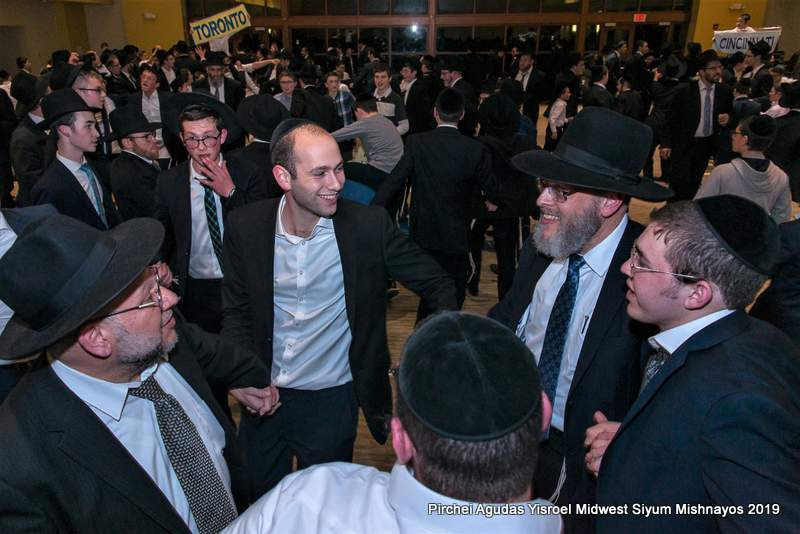 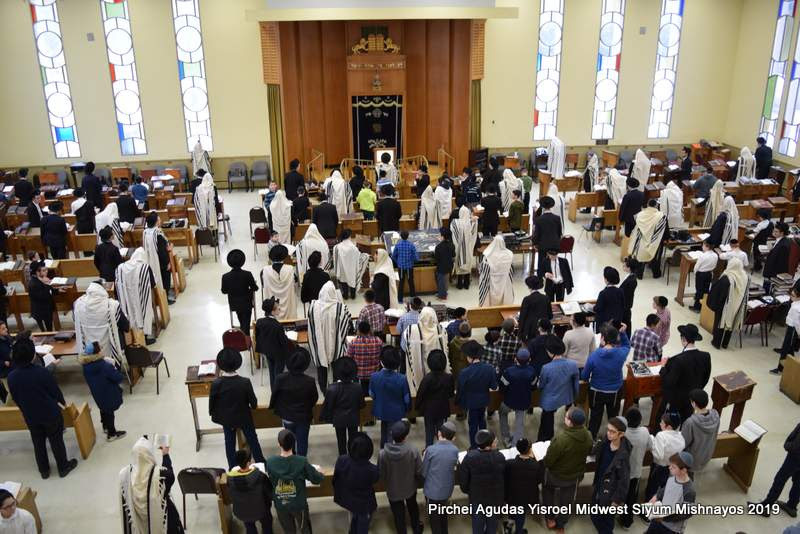 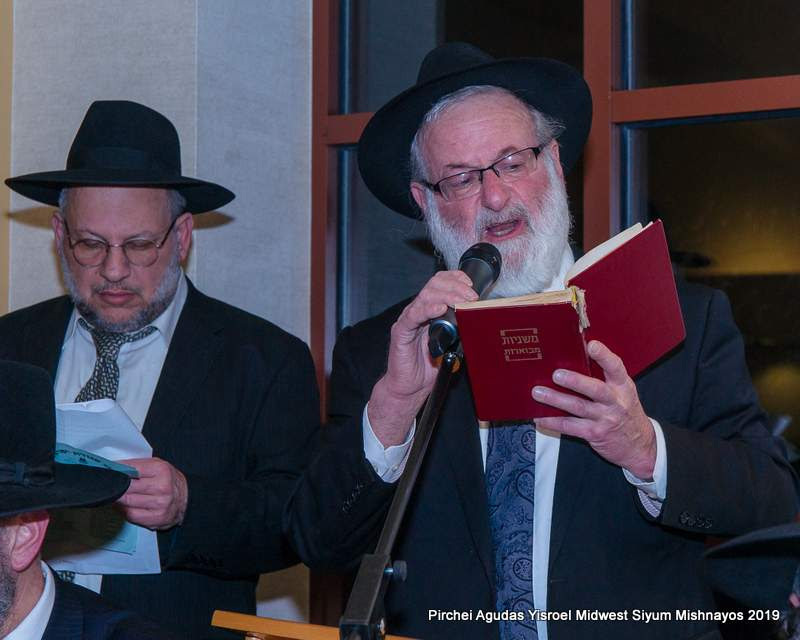 On Shabbos Parshas Pekudei, at the Annual Midwest Regional Siyum Mishnayos of Pirchei Agudas Yisroel of America, Pirchim from 13 cities across the country were inspired. 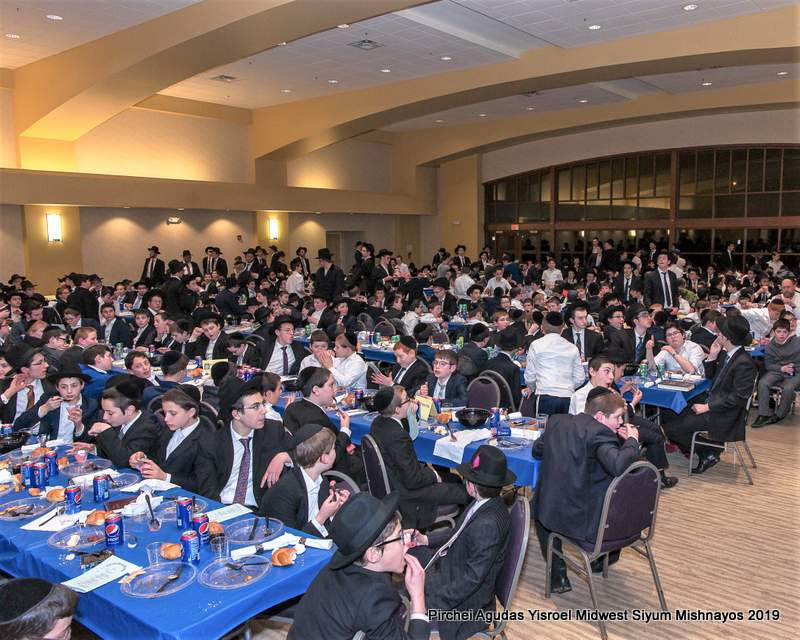 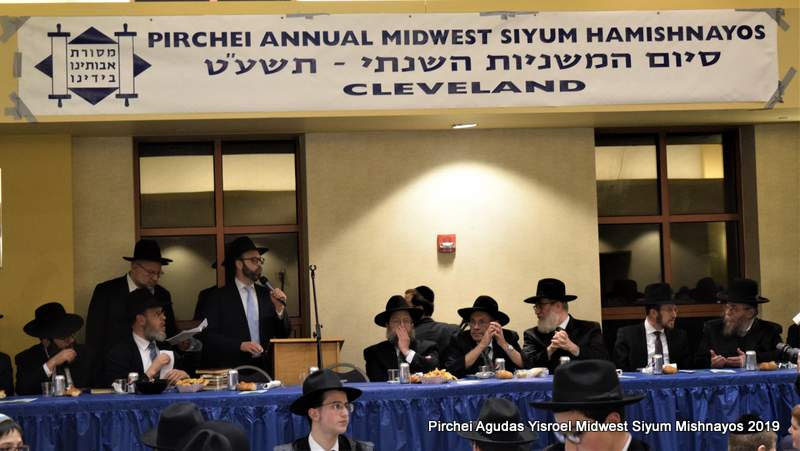 The siyum was hosted this year by the Cleveland branch and held at the Telshe Yeshiva in Wickliffe, OH. The program was coordinated by the directors of Pirchei Agudas Yisroel of Cleveland: Rabbi Hillel Drazin, Rabbi Moshe Berger, Rabbi Binyomin Levi and Nochum Drazin. 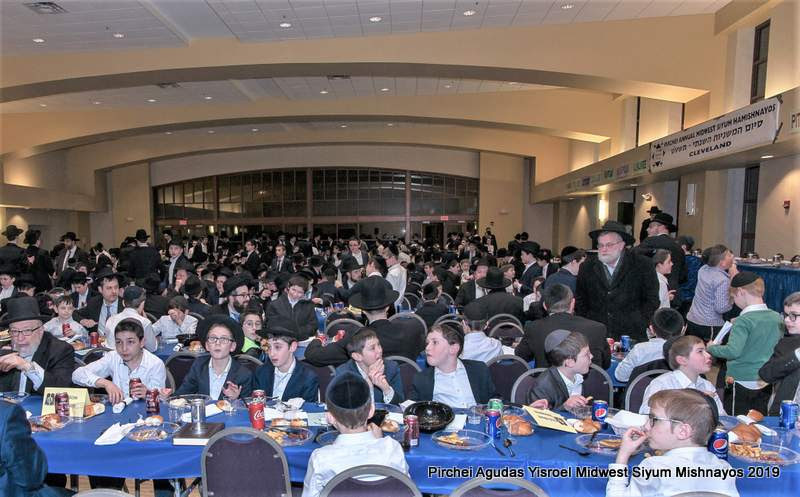 Beginning Friday afternoon and ending with the Grand Melave Malka, attendees were treated to nonstop programming.They enjoyed dinner and a story upon their arrival Thursday evening and a Friday morning trip. 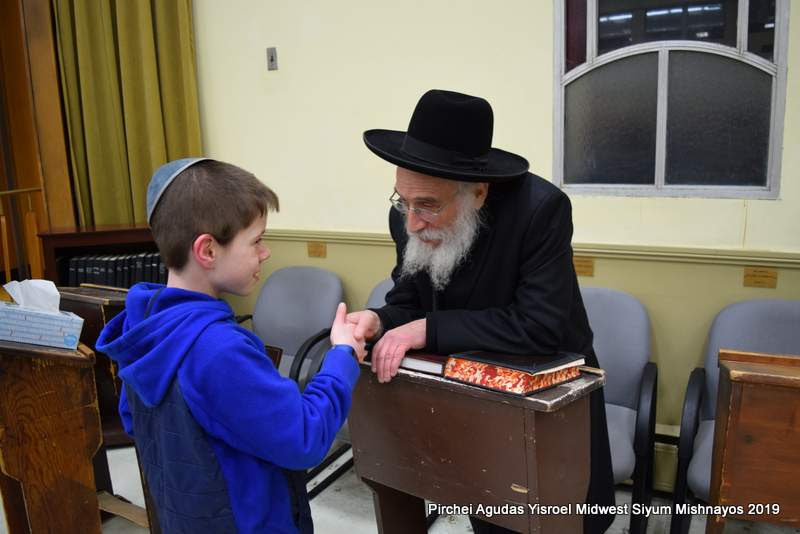 Chairman of the event and guest storyteller Rabbi Binyomin Wealgus kept them spellbound at Friday night Oneg Shabbos, followed by Shabbos groups. 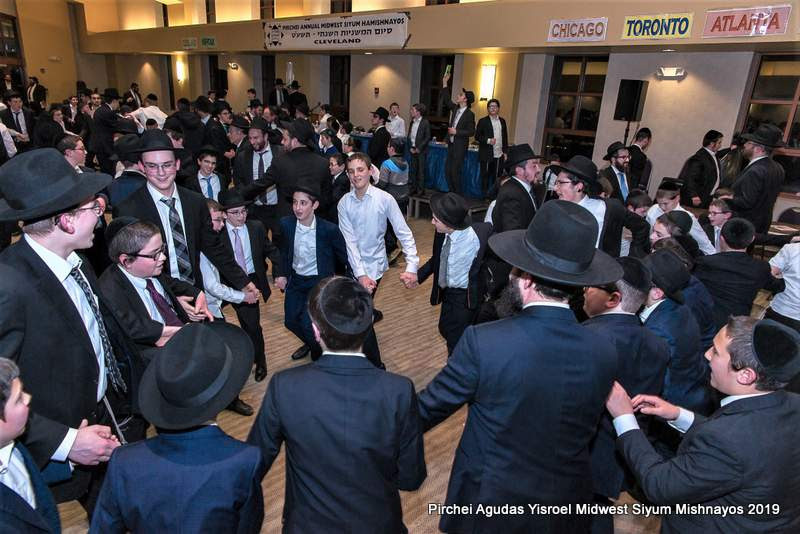 The climax of the event was a very inspiring kumzitz at Shalosh seudos and, finally, a gala Melave Malka at the Young Israel of Green Rd. 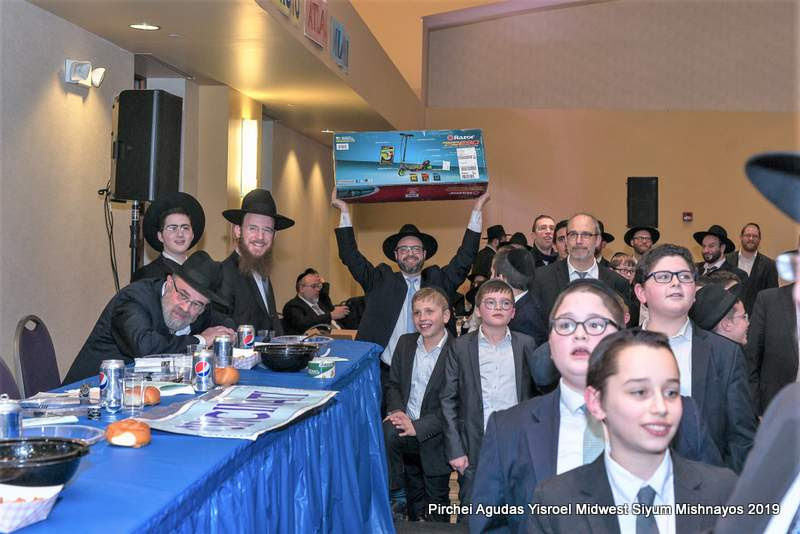 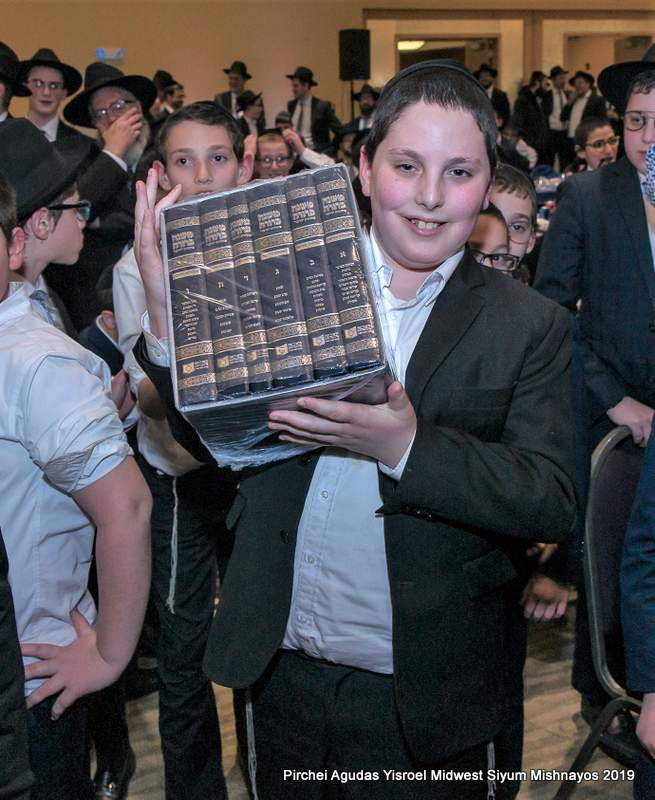 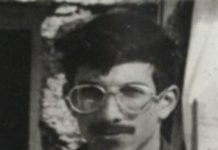 A Hasmodo contest ran throughout Shabbos, with Pirchim spending every available minute and waking up early to earn extra learning time points. 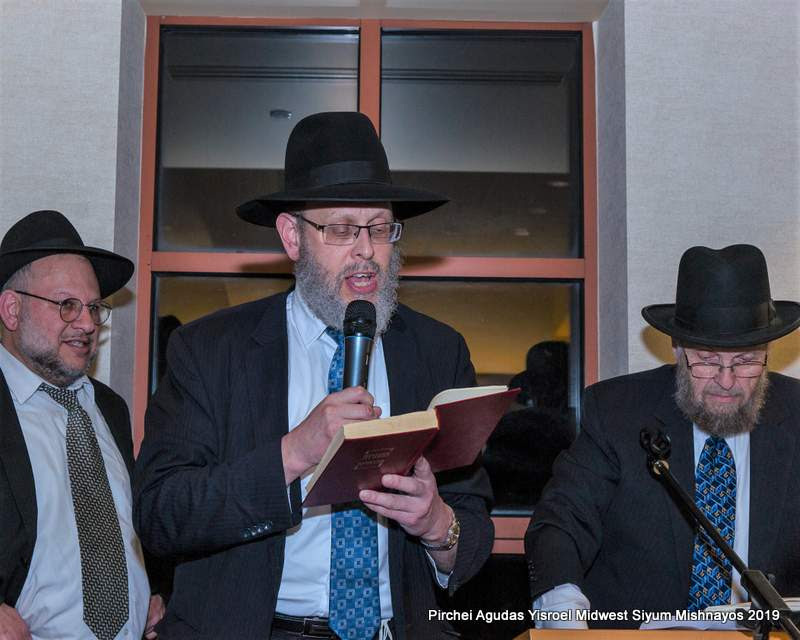 Participants heard divrei chizuk throughout Shabbos from the Hanholas hayeshiva: Rabbi Ahron Levitansky Mechina Menahel, Rabbi Anshel Helman, Mechina Mashgiach, and Rabbi Menachem Feldheim, Mashgiach Yeshiva Gedola. 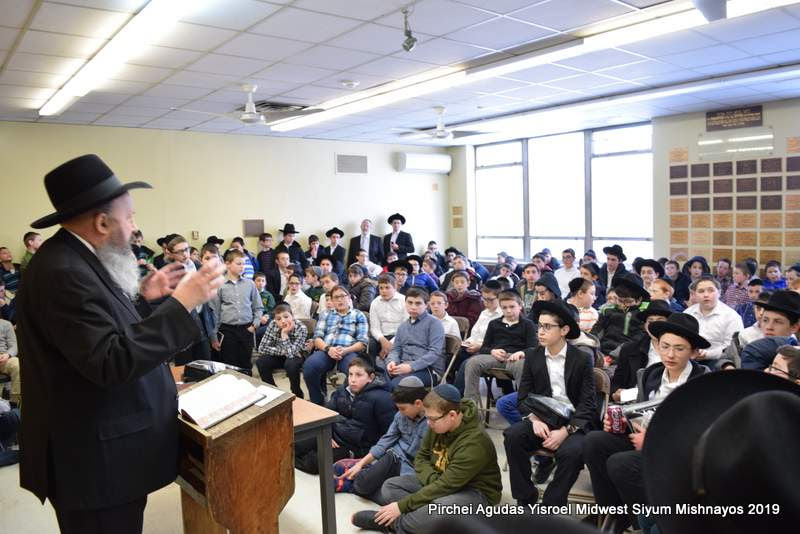 Rabbi Alexander Charlop, Rav of K’hal Zicron Chaim of Cleveland, addressed the Melave Malka, as well as Rabbi Labish Becker executive director of Agudath Israel of America and Rabbi Ephraim Levi, National Director of Pirchei Agudas Yisroel.